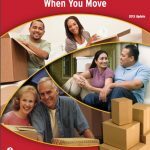 Over the years at MovingScam.com, we’ve worked hard with consumers to help them know what kinds of things to watch out for when researching their movers. What follows is a list of “red flags” that should alert consumers to watch for when preparing for their move. These will be integrated into an upcoming feature of the web site which we hope to launch next year. In the meantime, we felt it was important to get this information out to consumers in order to make it readily available for immediate use. * No company name – When you call them, they answer the phone “movers” or “moving company” rather than the name of the company. * The company refuses to perform an in-home survey of your belongings to provide an accurate estimate. If you are within 100 miles of their office, they are require to do so by law. 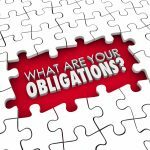 * The company does not provide a written estimate as required by law. 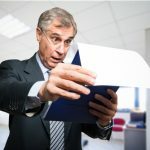 Brokers are required to provide a written estimate if they provide estimates, however, the carrier is not required to follow through on the broker’s promises. * The company asks you to sign blank or incomplete documents. * The company requires cash up front, or a substantial deposit amount to secure your move. A modest amount especially in urban areas is acceptable, where you might see deposits on the order of $100 to $250. * DOT or MC numbers are less than 3 years old. A newer company should be checked out thoroughly. * If a deposit is required, the company calls and asks for a larger deposit after you have agreed upon a deposit amount. * The company does not have a Department of Transportation (DOT) license, or the license is expired. * The company does not have a federal Motor Carrier (MC) license, or the license is expired. * The company is not authorized to ship household goods. For you-pack/we-drive services, the company may be authorized to ship freight instead. * The company’s DOT, and/or MC license is less than 3 years old. * The company has a history of serious complaints, such as hostage loads, with ProtectYourMove.gov. * The company has a history of serious complaints on the MovingScam.com message boards and elsewhere across the web. When checking Yelp, make sure you “filtered” reviews. * The company has no physical address listed, or a quick online search reveals the address listed is a rented mailbox. Movers should have access to their own warehouse for storing belongings in transit. * The company does not display their DOT license on their website as required by law. * The company did not provide you with the booklet “Your Rights and Responsibilities When You Move” as required by law. * The price of your move raises unexpectedly. * Three or fewer trucks when moving across state lines, or more than 300 miles. * The company does not offer full value replacement valuation. * The company has a poor record with the Better Business Bureau, or has a high number of complaints for the amount of moves they perform. * If the company shows up on moving day with a rental truck rather than a company-owned or marked fleet truck. You may be told that this is normal during the busy season, however, we assure you that it is not. * The foreman tries to change the price upon loading day. Once they begin loading your belongings, the original estimate has been affirmed. If you sign a new estimate, you are bound to the new, higher price. REMEMBER: Discovering ANY of these after your belongings are loaded on the truck is TOO LATE! You need to find out while shopping for a mover, not after. Once your goods are on the truck, you are completely at the mercy of the company who owns that truck, so be safe and check out your company before they show up at your house. I’m Covered for Damage, Right? When You’re Choosing a Mover Did You Know That Some Companies Are Moving Brokers? What makes an Endorsed mover “Endorsed”?